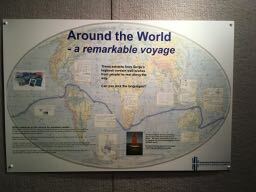 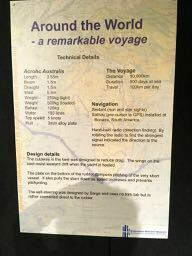 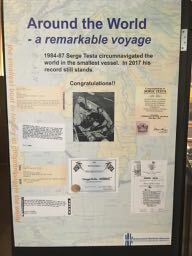 To commemorate the 30th anniversary of Serge Testa’s record-breaking circumnavigation in Acrohc Australis, The Queensland Maritime Museum displayed the real Acrohc in their exhibition “Around the World – a Remarkable Voyage”. 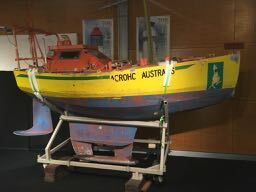 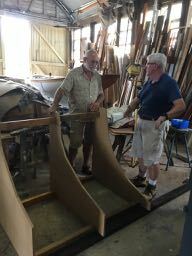 Getting Acrohc out of storage, transported to the Maritime Museum and put on display was a major undertaking for the Maritime Museum’s CEO, Ian Jempson, and his all-volunteer staff. 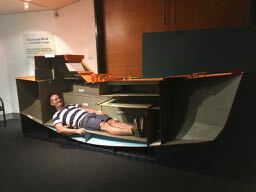 The Queensland Maritime Museum is funded entirely by donations. 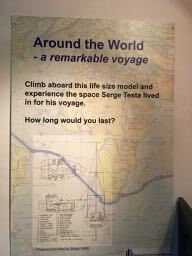 For Serge, having the opportunity to see and touch Acrohc again was a moving experience. 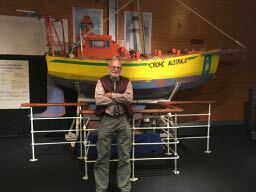 The exhibition closed on Oct. 15, 2017 and Acrohc was returned to storage.